The Union Cabinet headed by Dr.Manmohan Singh vide its decision dated 1 May 2013, has approved the launch of National Urban Health Mission (NUHM) as a Sub-mission of an overarching National Health Mission (NHM), with National Rural Health Mission (NRHM) being the other Sub-mission of National Health Mission.The National Rural Health Mission (NRHM), now under National Health Mission is an initiative undertaken by the government of India to address the health needs of under-served rural areas. Launched on 12th April 2005 by Indian Prime Minister Manmohan Singh, the NRHM was initially tasked with addressing the health needs of 18 states that had been identified as having weak public health indicators. Candidates should have M.B.B.S from recognized university and Completed/ completing internship on or before 30-06-2017. 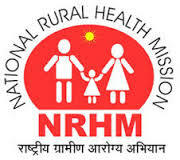 The age of the eligible applicant applying for the position surgeon will be according to rules and regulation of National Rural Health mission (NRHM) organization. The selection of the eligible applicant applying for the position of house surgeon will be on the basis of interview. Interested applicants who are going to apply for NRHM Chandigarh House Surgeon Recruitment they need to download application form through official website of National Health Mission that is nrhmchd.gov.in & send it along with all required documents at given below postal address before 15-06-2017. The provisional list of eligible applicants will be available on the National Health Mission website on 19-06-2017 and also on the Notice Board of Medical Superintendent Office, GMSH-16, Chandigarh. Applicants are requested to appear on 22-06-2017 at 10:00 A.M. alongwith original documents/ certificates in committee Room adjoining to the office of Director Health & Family Welfare Chandigarh Administration GMSH-16, Chandigarh.